If your Samsung Galaxy S5 Active is locked to use with specific carrier, and you are not able to use it another SIM card, most probably you want to unlock it for different SIM card providers. If you buy your Galaxy S5 Active with networks like AT&T, T-Mobile etc. on a contract, then you phone is Sim Locked with that network. Network service provider companies locked the phones because the want you to use only their services and not moved when another provider offers are come back. You can unlock your device to use with any compatible gsm network and save significant cost. If you looking to unlock your Samsung Galaxy S5 Active in a hassle free manner. You can do it by the help of network unlock codes. Because they are fast and easy to use without fear of damaging your device or void your warranty. Are you confuse where to buy the factory code for your device? Don't worry we will help to take you the most reliable unlock service. This is permanent, one time and complete unlock solution for Samsung Galaxy S5 Active any model. This unlock is compatible with any firmware and baseband version. Once you unlocked your device successfully it remains unlocked even after firmware updates. Fast, Safe, Easy and 100% Guaranteed to Unlock your Samsung S5 Active for all GSM Networks! 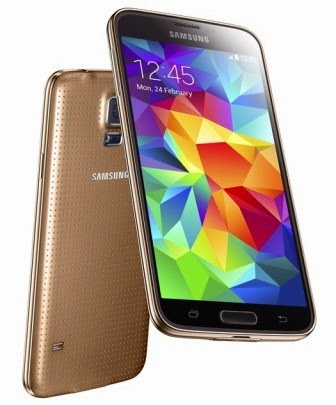 There are several reasons and benefits of unlocking your Samsung Galaxy S5 Active, Top of them are. 2. Use the Local Sim card and save on roaming fees when you travel abroad. 3. Increase the resell value of your device as it is available to more carriers. 4. Your phone will be permanently unlocked even after firmware updates. Once you received your 8 digit unlock code, follow the steps given below. 1. Insert a non accepted SIM card from another operator and power on. 2. Your phone will prompt to enter "Sim Network Unlock Pin"
If PERSO SHA256t is off, then select PERSO SHA256t ON and Reboot. The unlocking of Samsung Galaxy S5 Active on any android version is compatible with almost all popular carriers from the U.S., Spain, Canada, Germany, Australia, Japan, Brazil, Sweden, France, UK, Korea and many other countries.